Friday Favorites: Train edition | there's no place like gnome. It’s still technically Friday in Montana and though I keep swaying and feeling as if I’m on a train, my feet are planted firmly in Big Sandy. 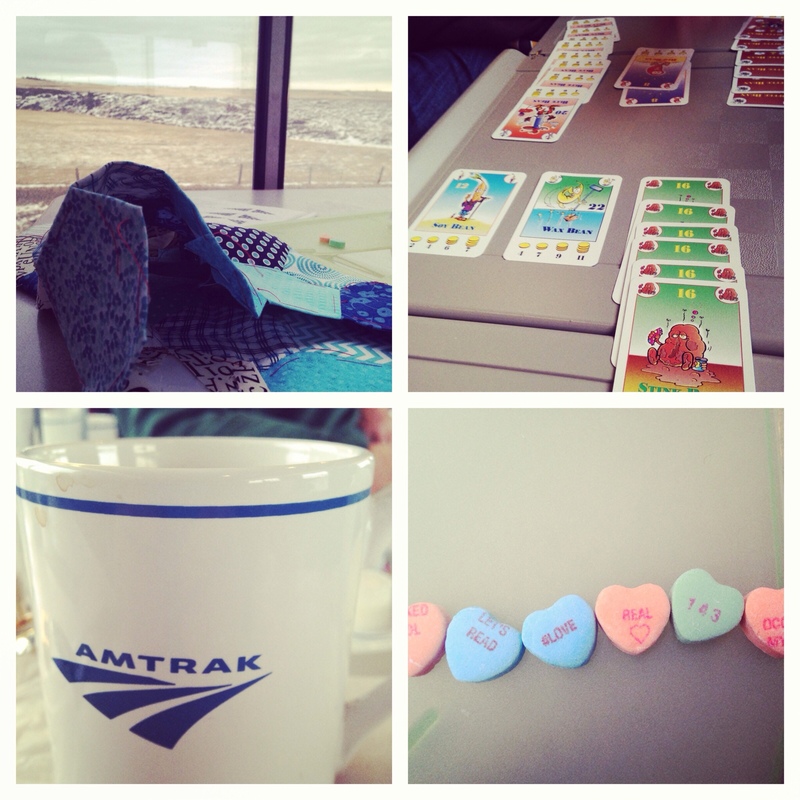 In the spirit of Friday Favorites, here are my favorite things about train travel. The time to play games, quilt, and catch up on episodes of The Bachelor. Watching the countryside from the observation car. Sleeping cars. Laying down flat is not overrated and dessert is covered with all of the meals. Arrival. Our train ride was five hours longer than it should have been due to a train derailment the day before, heavy train traffic, and a detour route. We were quite happy to step off the train and be greeted by friends. We are here. Hurray. ← Folks: It’s been crazy here.